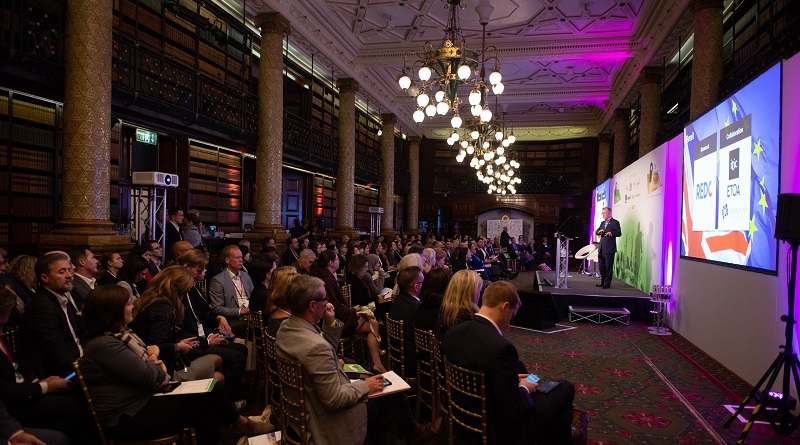 The 4th City Nation Place Global forum and conference took place in London last week. Jorge Hernán Bórquez Jorquera, a PhD student at the University of Leicester, attended the event as “special observer”, together with TPBO editor, Florian Kaefer. If you missed it or couldn’t attend, here’s Hernán’s summary. In the welcome talk, Clare Dewhirst invited us to reflect on the messages that Simon Anholt conveyed during the event’s Think Tank the day before. We were asked and challenged to be purposeful in our role as place branding professionals, because it is not really about the brand itself… Place branding is about what visitors, investors and residents want, which is fundamentally the same: peace, stability and prosperity. Thus, these values should always guide our endeavours as place branders and marketers. In the first part of this session, Adriana Campelo (Chief Resilience Officer, City of Salvador) presented the case of Salvador (Brazil) as a member of the 100 Resilient Cities scheme. The second part was led by Laura Citron, Chief Executive of London & Partners, who presented on how the organization has worked in the context of London’s resilience. Urban resilience is usually conceptualized and used in the context of natural disasters, economic crisis or other sudden events that impact a place’s stability… but resilience is essentially the capacity of a system to survive anything that can compromise its sustainability. Linked to the above, the city of Salvador joined the Resilient Cities programme in 2015, to address its social and economic inequality. Here, the key to success was to work in collaboration with all the city’s relevant stakeholders, to develop a resilience strategy that would help decrease the inequality gap and, in turn, enhance the city’s image and reputation. “How to grow and sustain London’s global brand in a changing context?” is the main question (and challenge) for Laura and her team. Factors like Brexit, increased competition and the digital revolution are forcing destination managers to develop city resilience now more than ever. Even though there is no single answer to it, to build “good growth” is key to overcome those challenges. In other words, growth which is good for all Londoners. In this context, tourism is seen as enabler, the gateway to a life-long relationship with the visitors. Therefore, first-time visitors have become a strategic priority, making sure that their first experience with London is good enough to turn them from one-time-visitors to frequent visitors, talent working in the city – or even investors later on. London & Partners works towards this goal by trying to make visits enjoyable through crowd management, spreading the touristic activity across the city. A positive benefit of this is that the visitor expenditure is distributed across London in a more socially sustainable way. Fake News is not just news that are not real altogether. Fake news entail an array of situations such as misinformation, news that are taken out of context, a sensationalist publication or even propaganda. Hence, its relevance for place managers and the increasing difficulty in keeping this issue under control. The rise of social media platforms has certainly contributed to the rise of fake news. Due to the power of these channels, fake news can have a detrimental effect on a place’s image, which means that place managers have to keep strengthening their presence on these online channels. Partnerships and good relations are key to counter the dissemination of fake news. Therefore, it’s a must to keep a healthy relationship and strong bonds with the press, journalists and social media platforms. Finally, there is a need in our society to educate audiences about fake news. While the public sector should certainly take part of this endeavour, it is everyone’s responsibility to educate about this issue. Just one year ago, Puerto Rico suffered not only from a severe economic crisis but two massive hurricanes that destroyed most of the island. Brad Dean, CEO of Destination Puerto Rico, shared the story of how this community came back stronger than ever, and how they used the anniversary of the natural disaster as a powerful place branding strategy. He illustrated the bottom-up approach that destination marketers undertook to showcase the Puerto Ricans’ strength, resilience and willingness to get back on their feet as soon as possible to quickly reactivate the touristic activity. By engaging with locals and sharing their stories, Destination Puerto Rico enabled its people to enhance their destination’s brand by themselves. With elements of storytelling, inclusive place branding and strategic partnerships, this case study served as an example of how sensationalistic, unfavourable press can be fought with authentic stories, and how bottom-up approaches allow place managers to work on the development of sustainable place brands. The panel discussed collaborative place branding and marketing strategies and how to keep diverse stakeholders on board. It was interesting to see how three different-level places (city/province/nation) can successfully undertake similar collaborative and multi-stakeholder approaches to pursue different place management strategies. Barcelona undertook a city branding project that aimed to renew the message and perception of the city. Interviews were carried out with brand experts, journalists, business leaders and residents to identify common features of the city and thus develop this new proposal from the bottom up. The brand I FEEL SLOVENIA was the result of a collaborative work and inclusive approach, where the participation of the citizens was fundamental to design, promote and sustain the brand. Western Cape’s Tourism, Trade and Investment Promotion developed two projects where multiple national and international stakeholders were brought together to a) implement a digital campaign to reverse the place’s deteriorated image and reputation resulting from the water crisis, and b) to further develop the air connectivity of the region by increasing the frequency and network of flights serving Cape Town. Countries have failed in their nation branding endeavours because they fail at carrying on with the implementation of the strategies, after they have been formulated. The key to success is to get the stakeholders’ projects (especially private sector initiatives) to be ON-BRAND. This means, assess the large array of projects that stakeholders are developing and understand whether they contribute and fit within the overall brand strategy. Joan Torella, Director of Barcelona Tourism, shared some reflections and facts about Barcelona and its issues linked to overtourism and identity. Joan explained that one of the main issues with Barcelona is that it’s a very dense city with attractions that are located in residential areas, rather than “open spaces”, which contributes to the feeling of overcrowding. Regarding its image as an “over-touristed” destination, studies reveal that only 14% of the population in Barcelona declare that tourism is not good for the city, but the press and media have amplified the effect of this segment’s opinion. This has certainly contributed to the perception of Barcelona as overcrowded destination. Similar to Amsterdam, Barcelona is developing a new tourism marketing project that seeks to enlarge the destination, in order to spread the visitors around the city and neighbouring areas. To achieve this, several commissions have been working on-site with historically neglected local communities, to develop a bottom-up sustainable marketing approach. The session led by Niall Gibbons (CEO of Tourism Ireland) focused on the importance of tourism for Ireland’s economic development, and how destination managers have been expanding Ireland’s touristic offer through the development of different marketing approaches. Having put tourism at the core of Ireland’s economic agenda has allowed the country to perform remarkably well as a destination, not only by achieving record figures in the last year, but also ranking 3rd in the world for tourism marketing and branding effectiveness. Among the most notable approaches, Niall illustrated Ireland’s initiatives based on Screen tourism, seizing its filming locations for Star Wars and Game of Thrones. The latter even led to an art museum based on the series, that greatly contributed towards the local economy. Another approach, this time based on strategic partnerships, is Global Greening, an initiative where landmarks all over the world are illuminated in green, in remembrance of St Patrick day: a powerful international marketing campaign with no costs for the country. Once places develop and launch a place brand, the challenge is to maintain momentum. Patricia Maher (CEO Tourism Grenada) and Conrad Bird (Director, GREAT Britain Campaign) shared their experience and explained how their respective countries have met the challenge of maintaining the consistency of their place brand strategies. In the case of Grenada, the island had not changed its slogan PURE GRENADA – Spice of the Caribbean since the 1980s, but opted to refresh visuals. Together with their “Free to Wonder” digital campaign (launched in 2017), as well as their work with local communities, the destination experienced strong growth in visitor arrival numbers this year. Connect with Jorge Hernán Bórquez Jorquera on LinkedIn. Following a record number of entries, the winners of the City Nation Place Awards were announced at the close of the conference and campaigns from across the world were recognised for their innovation, daring and creativity. Competition within the categories was unprecedentedly high this year as more towns, cities, regions and nations adopt a more strategic approach to developing and communicating their place brand. Eindhoven took home the coveted ‘Place Brand of the Year’ trophy for a long-term strategy built upon a vision of being the design capital of the world, that has continued to build momentum and achieve an economic turnaround with an open source brand, whilst Enterprise Estonia stole the award for Best Use of Design for a strategically managed campaign that was beautifully expressed. Copenhagen and Finland were awarded with ‘Best Use of Social Media’ and ‘Best Citizen Engagement’ respectively for ingenious campaigns that stepped outside of the box to reach out to their audiences in a unique and creative style. Puerto Rico was similarly lauded for a campaign that reversed the damage of the negative press following Hurricane Maria and instead promoted the resilience and determination of a community that banded together in the face of overwhelming odds. Featured image and copy about awards provided by City Nation Place. Missed the City Nation Place Global forum and conference this year but would like to join next time? Details of upcoming events for place branding professionals here.